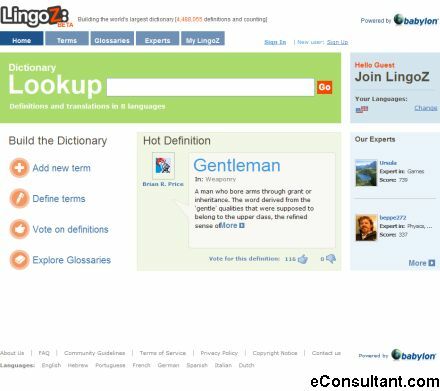 Description : LingoZ is an online community dedicated to the building of the world’s largest dictionary, and providing a community resource for language questions. Users are allow to add new terms, definitions and translations, glossaries, comment, rate and to collaborate with others on any content item. LingoZ is a service by Babylon, the world’s leading provider of translation software.